National Underwriter Property & Casualty is the only publication providing a 360-degree view of the P&C insurance business. Since 1897, the magazine has been an essential and trusted resource for P&C professionals including: agents and brokers, risk managers, carrier executives, and claims professionals. National Underwriter Property & Casualty’s mission is to be the one indispensable guide to a complex and swiftly changing industry by providing a truly comprehensive view of the important events and trends that shape the market. Insurance professionals want a single source of information that keeps them informed of critical developments in all aspects of the buying cycle. 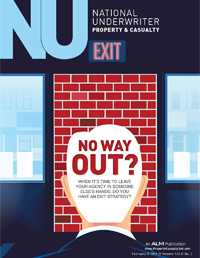 National Underwriter Property & Casualty is the only publication that covers it all, from every angle. 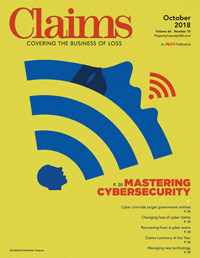 Claims is dedicated to "Covering the Business of Loss" for property and casualty insurance claims professionals and corporate risk managers. Claims reports in a timely manner on disasters, insurance crime, emerging trends in insurance claims and forensics, regulatory, judicial and legislative changes, and provides expert advice and educational articles covering techniques for handling insured losses. 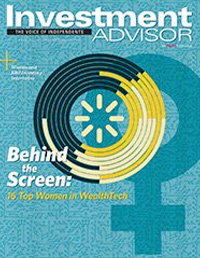 Since 1980, independent and independent-minded advisors, whether a broker-dealer rep or an RIA, have turned to Investment Advisor magazine for the unbiased news, information and analysis on wealth management, alternative investments, retirement planning, technology and practice management that they need to grow and run their practices. Investment Advisor remains the leading media-valued partner in helping that advisor become and remain successful. Launched in 2003, BenefitsPRO magazine is the authority for brokers and agents selling core, voluntary and retirement products. Its goal is to provide the most practical sale-focused information for benefits brokers and agents to boost their business, act as an invaluable resource for their clients and help shape the entire marketplace. 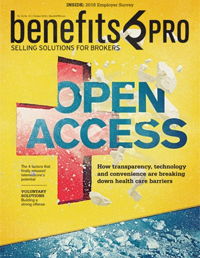 BenefitsPRO magazine continues to be the leading resource for brokers, agents and consultants in the benefits market by delivering exclusive real world sales tactics, news and information.